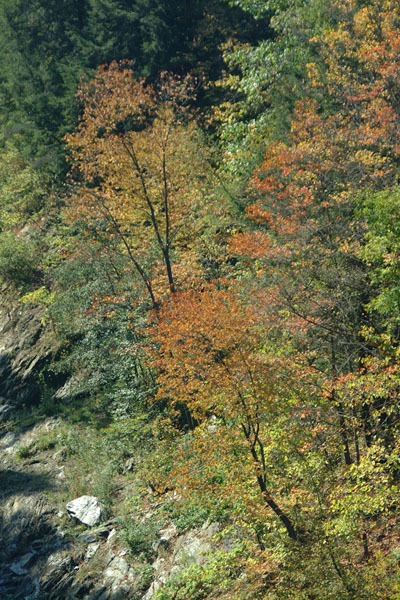 Photograph of Quechee Gorge, Vermont. Known as Vermont's Little Grand Canyon, a splendid view of the 165-foot chasm can be seen from the bridge on Route 4 that spans it. VIEW: More images from the category Quechee Gorge, Vermont or taken at the same location or around the same time .